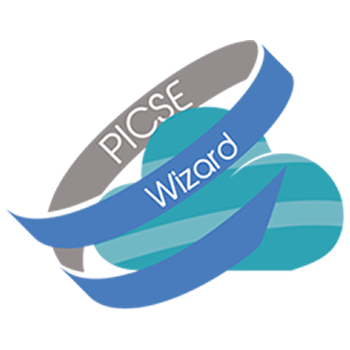 Please note that PICSE facilitates partner search for potential projects focused on cloud solutions. This specific challenge addresses the lack of public demand driven innovation in Europe needed to close the gap between supply and demand for innovative ICT solutions. It targets consortia of procurers with similar procurement needs of common European interest, to drive innovation from the demand side and reduce fragmentation of public sector demand in Europe, by together challenging the market to develop innovative ICT based solutions. Joint pre-commercial procurement enables consortia of procurers to share the costs of procuring high-tech R&D and to speed up the time-to-market for promising research outcomes that can provide best value for money and solutions for concrete public sector needs. The aim of engaging in such more forward looking R&D procurement strategies is to modernize the provision of public services faster whilst creating opportunities for industry and researchers in Europe to take international leadership in new markets. The objective is to bring radical improvements to the quality and efficiency of public services by encouraging the development and validation of breakthrough solutions through Pre-Commercial Procurement. This specific challenge is open to proposals requesting EU cofunding for pre-commercial procurement in all areas of public sector interest requiring innovative ICT based solutions, complementary to PCP Cofund actions foreseen under other challenges in ICT LEIT. It is open both to proposals requiring improvements mainly based on one specific ICT technology field, as well as to proposals requiring end-to-end solutions that need combinations of different ICT technologies. Reduced fragmentation of demand for innovative solutions by enabling public procurers to collectively implement PCPs in areas, which due to their nature are better addressed jointly, or which they would not have been able to tackle independently. Increased opportunities for wide market uptake and economies of scale for the supply side through the use of joint specifications, wide publication of results and where relevant contribution to standardisation, regulation or certification to remove barriers for introduction of PCP innovations into the market. Pre-Commercial Procurement (PCP) Cofund actions – The Commission considers that proposals requesting a contribution from the EU of about EUR 4 million would allow this specific challenge to be addressed appropriately. Nonetheless, this does not preclude submission and selection of proposals requesting other amounts.